In breakout sessions organized by Tea Party favorites Sen. Jim DeMint, R-S.C., Reps. Michele Bachmann, R-Minn., and Mike Pence, R-Ind., new congressmen-elect joined with Tea Party-backed Americans for Prosperity in calling for a two-year moratorium on earmarks. Spending our hard earned money to buy votes has just become a little harder. For the Tea Party this is a huge moral victory, as it restores the system “So my early Christmas Wish is to ask President Obama to do the same and have well intentioned Agency Head who understand true need on state and local levels take politics out of needed fixes, not adding it to Obama’s war chest. As politics became more polarizing, so did the earmark process. Members of Congress began to muscle the agency heads into make decisions not necessarily based on merit or need. Also, at times, the threat of agency funding withdrawal by a member of Congress entered this dialogue. Earmarks have exploded over the past ten years, tripling in total from about 6000 to 17,500 according to a report by Wendy Ginsburg for Midwest Political Science Association. Senator Inhofe (R-OK) has said he will unveil a compromise solution to the earmark controversy on Monday on the Senate floor. So Mr. President … can you make my Christmas Wish a reality … have our agency professionals decide whether or not a particular town needed a new bridge, courthouse or water project. Please! 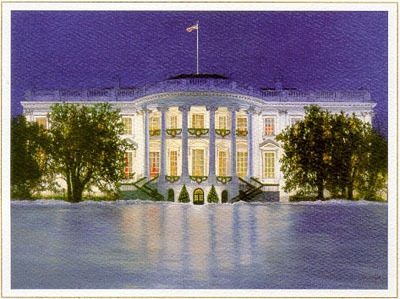 This entry was posted in TeaPartyHD and tagged bachmann, christmas wish, congress, DeMint, duck, earmarks, lame duck, lame duck session, mcconnell, Obama, pence, president, President Obama, R-Ky, senate, senate floor, session, tea at the white house, tea party express, tea party hd, tea party patriots, tea time, teapartyhd.com, White House, wish. Bookmark the permalink.